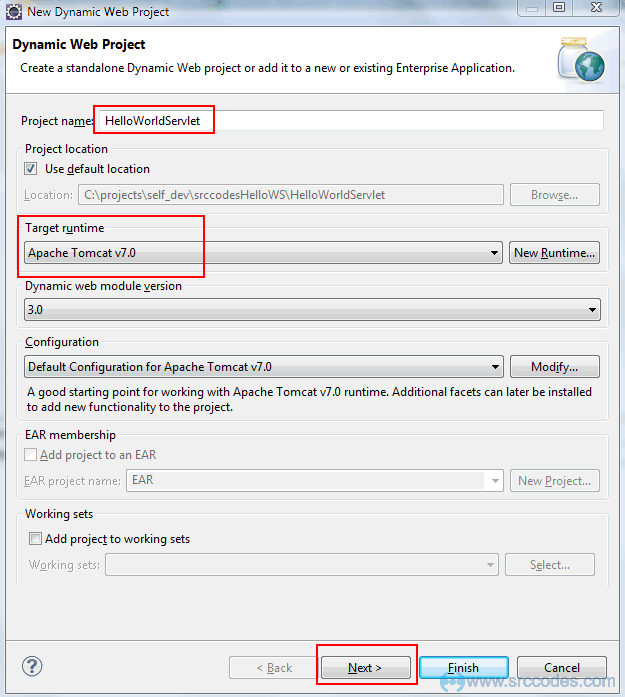 Select from the menu File --> New --> Dynamic Web Project. 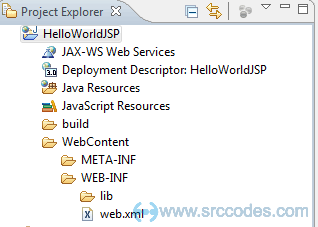 Enter "HelloWorldServlet" as the project name. Keep rest of the settings as it is as shown in the following screenshot. 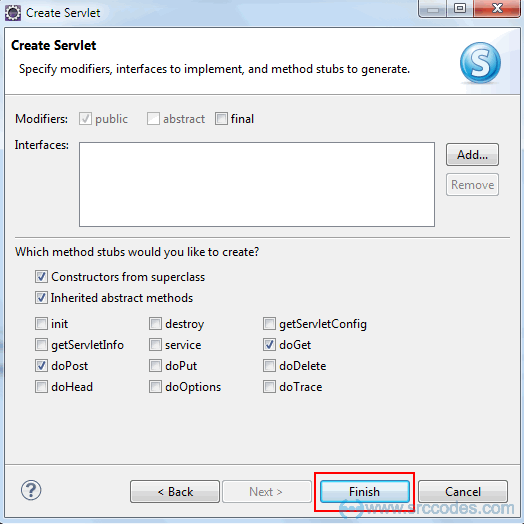 Select from the menu File --> New --> Servlet. 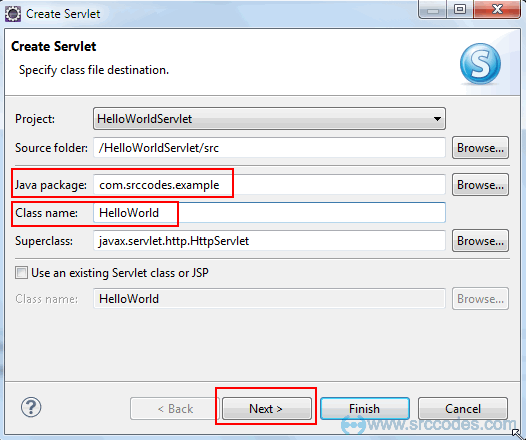 Write "com.srccodes.example" in the 'Java Package' field and "HelloWorld" in the 'Class Name' field. Click 'Next' button. 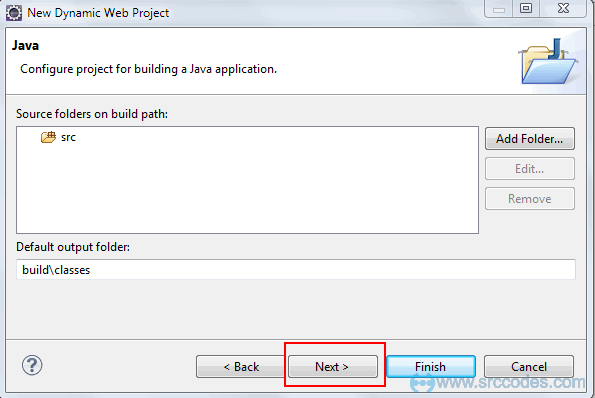 We can specify deployment descriptor (web.xml) specific information in the following screen. Just keep every thing as it is for the time being. Click "Next" button. Notice the highlighted line number 13 in the above code. "/HelloWorld" is the servlet url that we need to specify in the browser url to access the same. 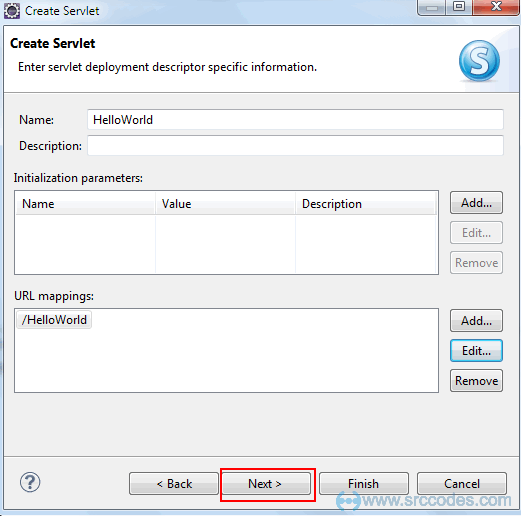 This is annotation based approach to define servlet mapping. We can do the same in web.xml file as well. For simplicity we are moving forward with the annotation based approach that Eclipse generated for us. Add your code inside 'doGet' method. 'setContentType' method of HttpServletResponse sets content type of the response to 'text/html' which is the standard MIME content type for Html pages. 'getWriter' method of the response object returns a PrintWriter object. This will be used to print our "Hello World!" string in the browser. Edit the generated 'HelloWorld.java' as per the following code. 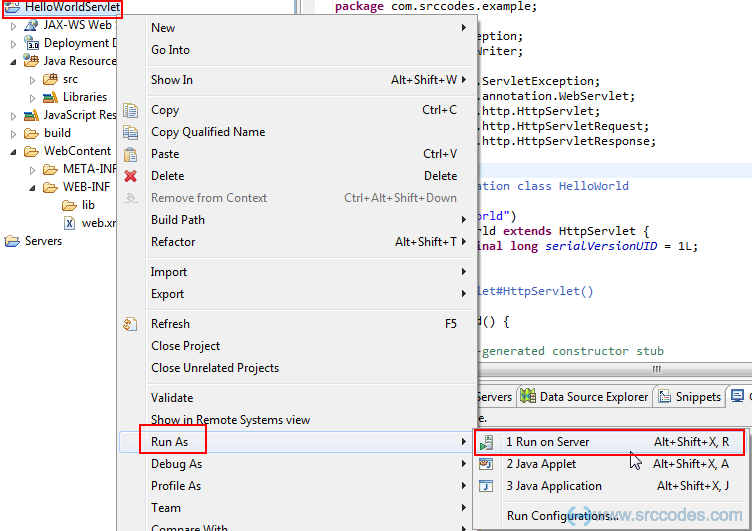 Right click on the project 'HelloWorldServlet' and select from context menu 'Run As' --> 'Run on Server'. 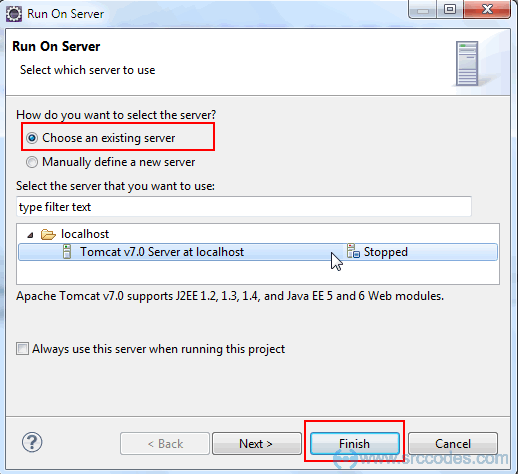 Select the existing tomcat server. If not available then manually define a new web server. Click "Finish" button. 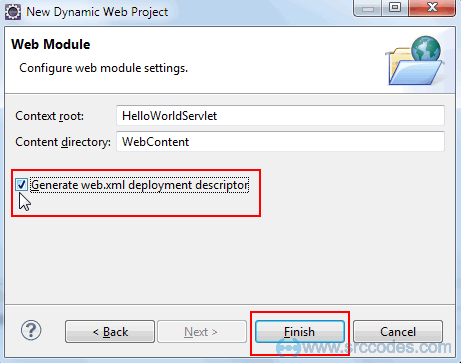 HelloWorldServlet web application will be deployed in the tomcat web server. Eclipse will open a browser and your server side code will print 'Hello World!' in the browser.